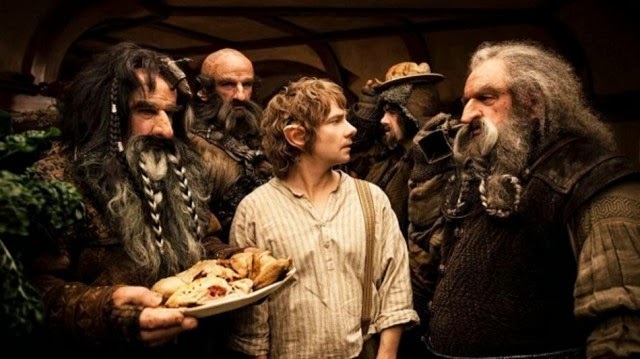 Celebrity English: What does the Hobbit say? 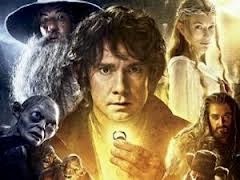 The highly anticipated second installment of Peter Jackson’s Hobbit trilogy releases is roaring into theaters across the world! 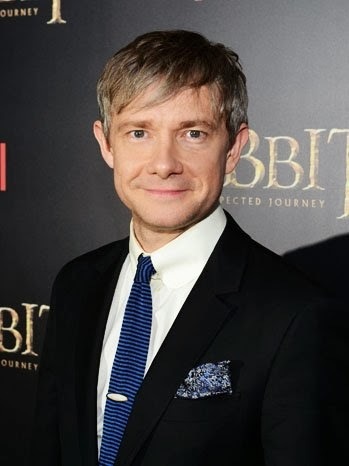 The adventure continues with Martin Freeman as the Hobbit Bilbo Baggins! With Dwarves, Elves, and a fierce fire breathing Dragon, the action is Epic! The enchanting, swirling energy of The Hobbit has begun…I wonder what does the Hobbit have to say about all of this? Question: How do you feel about all of the excitement surrounding The Hobbit? Martin Freeman: I’ll never do a bigger film. There aren’t bigger films! This is the biggest film. It was my one chance to do something that nearly everybody, at one point or another, was going to see. 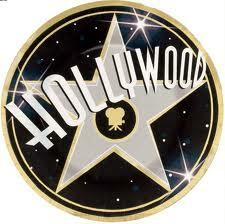 I've made other films that maybe I've loved more, but they haven't made a billion dollars. 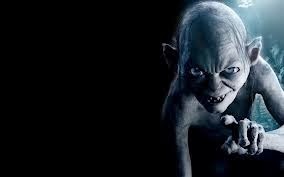 Question: The first scene you shot was the ‘Riddles in the Dark’ chapter with Gollum – just him and Bilbo trading riddles in a cave. Was that a good way to ease into the scale of the production? Question: How did the cast get along? The Lord of the Rings group became pretty close. Martin Freeman: We were a very different group than the original Fellowship. We didn’t get tattoos or anything, but we did go for a lot of great Japanese meals. We’re at different stages of life: we weren’t The Monkees. Question: You had to film the river scene in rushing rapids of water. Was it the most challenging scene? Martin Freeman: Probably from a physical point of view. There are always challenges to green screen. 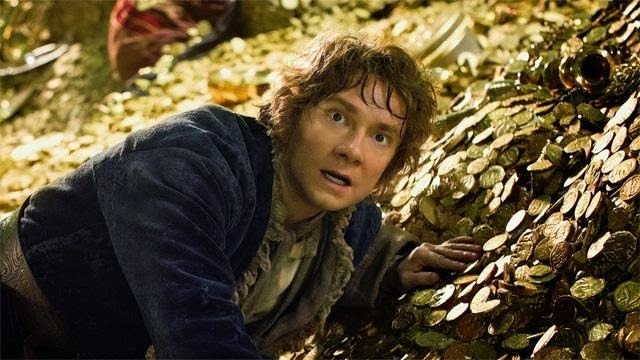 Smaug was challenging because you're having to imagine a dragon and you're working on a set where your massive feet are falling through the coins like quicksand, so you're just sinking everywhere. I'd say the water was sobering. For a few of us, I think we were like, OK, we're going underwater very fast. Question: Your life is probably going to change wildly. How do you feel about that? Martin Freeman: I don’t know. It’s a hard question because it either implies that I’ll be disappointed if it doesn’t, or “poor-me” if it does. I get to do a great gig and play Bilbo, but the price of that is another part of my privacy is gone. Which is a huge issue, a real downside. I like being private. People ask, “So why are you an actor, then?” That’s a fair question, but it shows that they don’t really understand the situation. I work in public. That’s for you. But you can’t have my private life as well. Some Common Casual Language from Martin Freeman at Celebrity English. Instructions: Write down the meaning of the words/expressions from the Martin Freeman. one chance to do something = one opportunity to accomplish something. a good mixture of old and fresh blood = (in this case)a combination of past (from the Lord of the Rings) and new actors (starting at the Hobbit). The Monkees = an American pop/rock band (1966-1977 main). green screen = (in film and video techniques such as chroma-key) a blue (or green) background in front of which moving subjects are filmed and which allows a separately filmed background to be added to the final image. Massive = very big or very large; huge. Quicksand = deep, wet sand into which heavy objects sink easily. gig = a job usually for a specified time; especially : an entertainer's engagement. the price of = an unwelcome experience, event, or action involved as a condition of achieving a desired end. huge issue,= huge: very big. issue an important topic or problem for debate or discussion. a real downside = real: in this case means 'very' (for emphasis). downside: the negative aspect of something, esp. something regarded as in general good or desirable. (Ex.a magazine feature on the downside of fashion modeling). "poor-me”= someone who feeling sorry for his or her self. private life = the social or family life or personal relationships of an individual, esp of a person in the public eye, such as a politician or celebrity. Labels: Celebrity, English, film, Interview, Language, learning, Martin Freeman, movie, Peter Jackson, real, scene, The Desolation Of Smaug, The Hobbit, video, vocabulary, What does the Hobbit say? One of my favourite lessons!